Fewer U.S. tax preparers at higher cost! The U.S. is a “Nation of Forms”. It uses “forms” to force you to provide them endless amounts of information. It is truly Orwellian. Through FATCA, the U.S. will force Canadian banks (they should simply refuse) to report on U.S. citizens to the IRS. Here is a “new form” that is clearly designed for the benefit of the IRS. Your “paid tax preparer” must not only be registered with the IRS, but must provide his/her own background information to the IRS. I suspect that a number of people who have been preparing U.S. tax returns will simply stop. Those remaining will have to register with the IRS, pass an exam and take continuing education courses. The good news is that this has created a new industry in America – the IRS Tax Preparation Return Preparation Exam Preparation Industry – this is hilarious – and to not favor one IRS Tax Prep Return Prep Provider. Clearly the most important obligation of U.S. citizenship is to submit forms filled out under the supervision of government certified form preparers. This really should become an election issue – honestly, how many forms should a person be required to fill out and at what expense. This is getting worse and worse and more and more intolerable. So, make sure that when you go (if you go) to HR Block they show you their tax preparer number! Quite obviously it will be harder to locate a tax preparer to help with U.S. returns and forms. It will also be more expensive. Attorneys and CPAs need not pass the competency test or do continuing education. (This is surely a “professional courtesy” – extended by the IRS. Note that I did NOT say a “courtesy extended to professionals.) As you know, an attorney or CPA will charge much more than an HR Block. The IRS, FBAR, FATCA, and OVDI have been a bonanza for lawyers and CPAs. At this point though, you need to be very careful about who completes your U.S. tax return and reporting forms. Unless you have been living under a rock, you now see that U.S. citizenship means that you need protection from the U.S. government – and the IRS in particular. U.S. tax and reporting requirements have reached a new level of complexity. 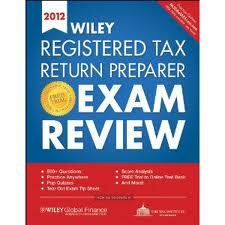 Therefore, you should get your taxes done only by and only by professionals – I mean a lawyer or CPA. A so called “tax preparer” (registered or not) is (in my opinion) very risky. The question is NOT what will it cost to get the taxes done by a CPA or attorney. The question is what might it cost to NOT do so! In addition, you should remember that if you use a lawyer you will have the benefit of “lawyer client” privilege. Hard to know what this is worth (it will cost more), but CPAs do cannot offer this. One more reason to renounce U.S. citizenship. You can’t afford the cost of IRS compliance. Attorneys or CPAs are just to expensive for the average person. Tax preparers are simply too risky. This entry was posted in Uncategorized and tagged Attorneys IRS tax preparer exam, CPAs IRS tax preparere exam, IRS tax prepararer exam, IRS tax preparers exam preparation on November 28, 2011 by renounceuscitizenship. Wow! Finally I found you guys! You are so right. My family was completely destroyed by the IRS. Reported taxes and fbar for the last six years. Where we are living tried to put her in mental hospital because some neighbor complaint. From being threated her as an animal with psychotric drugs. We are now afraid from the IRS. We do not how to deal whith this situation. Home equipment, etc. We are now refugees. We are shame to be called US citizenry.